Andrew Polly picked up the win tonight in the 12-3 victory over rival Chillicothe. Polly had a solid game, pitching 6 1/3 innings while giving up 3 runs on 8 hits. He also struck out 4 while not allowing any Mudcats to reach base by walk or hit by pitch. 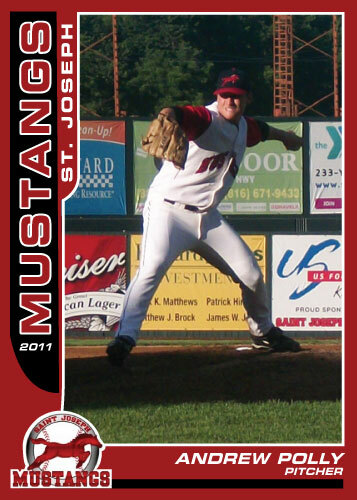 The Mustangs offense was led by the amazingly consistent Brent Seifert who drove in another 3 runs giving him 25 RBI in MINK league play while sporting a .343 average. Kris Koerper also knocked in a couple runs on his way to a 2-3 day. The true offensive hero was Jake Kretzer. The Northwest Bearcat went 4-5 and drove in a huge 5 runs. 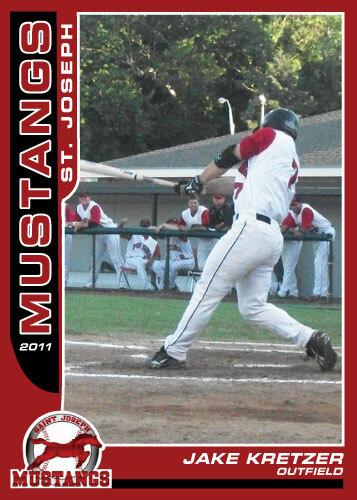 Kretzer mixed a double in with 3 singles to compile his 4 hits. His most impressive at bat in my opinion was the at bat where he planned to give the Mudcats and out. After TJ Daily got hit by a pitch to leadoff the inning, Kretzer squared around for a sacrifice bunt and put the ball perfectly between the first baseman, second baseman and pitcher for a hit. I have seen Kretzer come through with a couple good bunts this year, I think bunting is one of the lost arts of the game and I really like watching a team willing to bunt and have the players with the ability to do so.